Southampton Cruise Centre is a Cruise Village website dedicated to Europe's fastest growing cruise port Southampton, currently with four cruise terminals. We at the Cruise Village are firmly committed to promoting the UK's home of cruising and our relationship with the cruise lines allows exclusive deals on a wide range of cruises both from Southampton and also around the world. Whilst the Southampton Cruise Centre has a huge focus on No Flying cruise holidays, the Cruise Village has fantastic rates for all cruises sailing from the continent, Asia, Australasia and the USA. We are people that you can trust, when we confirm your holiday you are our clients and we will be available to assist you with any questions that you may have. You will NOT be passed to various departments - your consultant will be your point of contact. 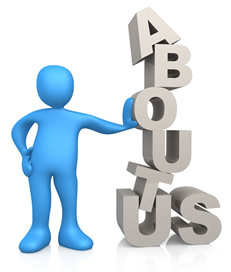 Please make sure you take the direct contact details from our consultants to ensure even greater customer care. Southampton Cruise Centre - "The UK's Home of Cruising"
Payment: We no longer charge card fees. We only charge a one-off small £20 booking fee. That’s it - nothing more and no add ons when you pay the balance. The Cruise Village is a member of The Co-operative Consortium which is part of Midcounties co-operative Limited registered in England and Wales with registered number IP19025R. Vat No. 862 817 892. Registered Office: Co-operative House, Warwick Technology Park, Gallows Hill, WarwickCV34 6DA. Head Office: The Waterfront, 62 Wolverhampton Street, Walsall WS2 8DD. The Cruise Village is a member of ABTA with membership number P6710. As such we are fully bonded according to ABTA's rules and abide by ABTA's Code of Conduct. ABTA protection applies to services supplied by Midcounties co-operative but does not apply to services featured on this website that are provided by any company that is not a member of ABTA. You are entitled to a copy of your information held by us. If you would like to see this please ask us. [We may make a small charge for providing this to you]. The Southampton Cruise Centre is committed to ensuring its website is accessible to all users. As our site is constantly reviewed we would welcome any comments you may have on accessibility issues. We recommend using Microsoft Internet Explorer 7 or higher to provide you with the highest level of browser accessibility. If you are blind or visually impaired we recommend JAWS for Windows version 3.31 or later for the best speech synthesis.